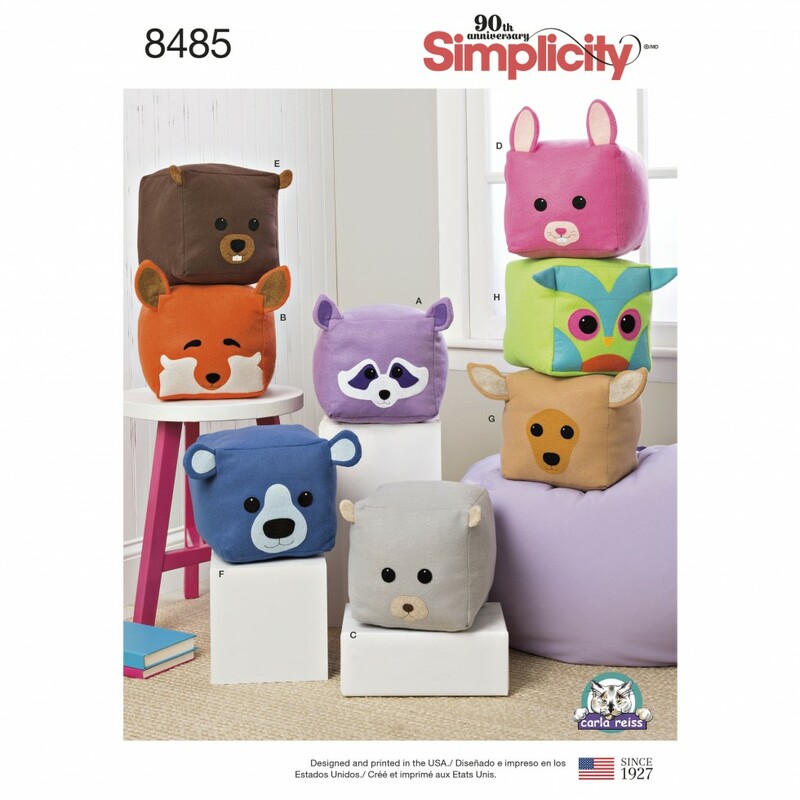 8inch felt stuffed cube animals. Patterns and instructions to help you create raccoon, fox, squirrel, bunny, beaver, bear, deer and owl faces. Carla Reiss Design for Simplicity.